I really have no idea how I will approach this review, but having re-read the synopsis above I have realised that it fails to capture much of The Six. The story is pretty much as the blurb describes: thirteen year old awkward and socially inept girl finds out she needs needs to save the magical world of Alitheia with her friends. Samantha Palm. Blond, blue-eyed … and overweight. She’d lived at the end of their street before Darcy could remember, and every summer she tried to make friends with Darcy, to no avail. Darcy liked to think that her avoidance of Sam had nothing to do with the girl’s weight, but if she was truly honest with herself, she knew that deep down she did not want to be friends with the fat girl at school. I have a hard enough time making friends at school without hanging out with someone like Samantha Palm, she’d argued to herself more than once. And what, exactly, is it that makes Darcy so charming that people are falling over themselves to be friends with her? Actually, no one at the camp wants anything to do with her – even as Darcy is avoiding them because she doesn’t like them, the OTHER kids are debating whether to hang out with her or not (the general consensus is NO), with Samantha ironically being Darcy’s only advocate. In fact, in the Alitheian prophesy, Darcy is referred to as the leader of the group, but from what I see, the true leader is Samantha, who stands up to all of them and continues to be friends with Darcy no matter how meanly Darcy acts. I think the author has made a huge mistake by making the protagonist so unlikeable and unrelatable – I know thirteen year olds can’t be expected to be mature and are flawed, but Darcy’s character is a step too far! 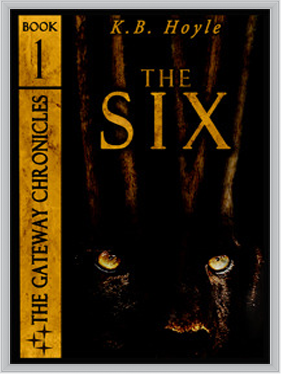 I feel I would have enjoyed the book much more if it had been told by ANY of the other five kids that make up THE SIX. I really liked Samantha and I want to get to know Perry better (he does the ‘arrogant and mysterious hot guy’ so well!). The general plot line of the book resembles The Lion, The Witch and The Wardrobe for my liking: Darcy finds Alitheia by herself and must convince the other five that it exist and to accompany her back, while in Alitheia, she learns that the people have been waiting for “three women and three men” to save them from unspeakable horrors, and no matter how much time the six spend in Alitheia they return to this world to find that no time has passed. I think I didn’t enjoy The Six for a variety of reasons, the first and foremost being I am obviously not the demographic it is written for. I may have enjoyed it a lot more as a teenager, being able to relate to Darcy’s ‘no one understands me’ phase and her family troubles, but all I saw was a teenager who never gave those around her a chance. Perhaps younger readers will enjoy this book more than me.